“It’s a bit like making yogurt,” says Oliver Peoples, chief scientific officer of Metabolix, Inc. The Cambridge, Massachusetts–based U.S. company where bioplastics take shape in laboratory-scale fermentation chambers is one of a growing number of businesses and institutions working to develop cost-competitive, more environmentally friendly replacements for conventional plastics, which are made from fossil fuels, fail to decompose and are turning our oceans into seas of floating plastic. Some 4.8 million to 12.7 million metric tons (5.3 million to 14 million tons) of plastic, or up to 4 percent of the roughly 300 million metric tons (330 million tons) of plastic produced each year, entered the ocean as trash in 2010. 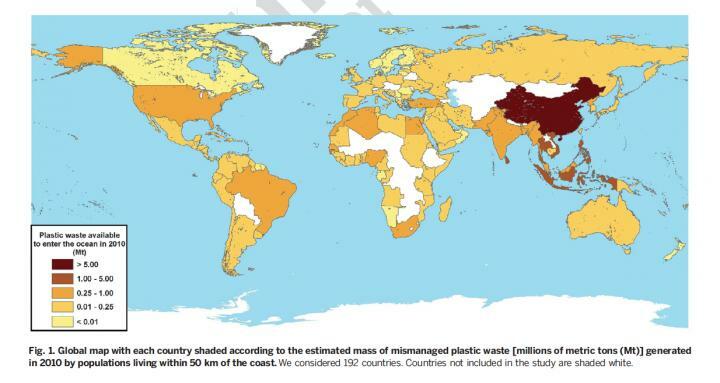 The figure is expected to increase 10-fold in the next decade as more plastic is produced and subsequently evades waste management and recycling efforts, according to a study Jambeck and colleagues published earlier this year in the journal Science. 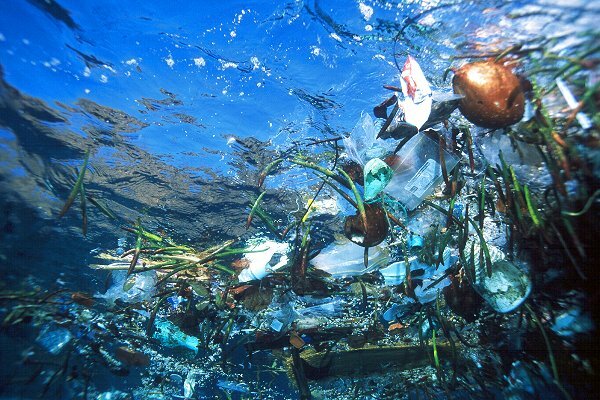 U.S.-based researchers reported in Feb, 2015, that more than 4.8 million metric tons of plastic waste enter the oceans from land each year. What effect all this plastic has on living things, including humans, remains unclear. A number of recent studies show that chemicals in small bits of plastic, and even the plastic bits themselves, can accumulate in birds, fish and other marine life. Laboratory testing has shown the chemicals that comprise them can cause adverse health effects, including liver damage and endocrine disruption through altered gene expression. Whether similar effects occur outside the laboratory or whether they extend up the food chain to people who eat marine organisms remains unknown, yet both seem entirely plausible. And that’s not all. Plastics are notorious in the greenhouse gas department as well. Roughly 8 percent of the petroleum used worldwide each year goes to make plastic directly or to power the plastic manufacturing processes, according to a recent report by the Worldwatch Institute. “Even though people feel like they would like to use less plastic rather than more, the fact of the matter is that plastics are modern materials that make cars lighter, purify water and add tremendous benefit to health and security applications.” — Marc HillmyerWhy not just reduce our use? For one thing, plastics are incredibly versatile, meeting a spectrum of needs for flexibility, cost and other parameters that substitute materials would be hard put to match. Not only that, but substitute materials present their own adverse environmental, social and health impacts. “Even though people feel like they would like to use less plastic rather than more, the fact of the matter is that plastics are modern materials that make cars lighter, purify water and add tremendous benefit to health and security applications,” says Marc Hillmyer, director of the Center for Sustainable Polymers at the University of Minnesota in Minneapolis. In other words, there are solid reasons for pursuing more sustainable alternatives to conventional plastics — namely, plant-based plastics. Such so-called bioplastics are able to degrade, dramatically reducing the risk that they’ll end up polluting land or sea. They also lower our dependence on fossil fuels, reducing plastic’s carbon footprint. Greenhouse gas emissions associated with bioplastics are 26 percent lower than those associated with conventional plastic, according to a recent life-cycle analysis of corn-based and petroleum-based plastic by researchers at Michigan State University. Finding non-petroleum-based, decomposable alternatives to today’s plastics, however, isn’t easy. Plastic made from corn, sugarcane or other plant-based material isn’t necessarily degradable, and getting degradation to occur when you want it to can be difficult. While chemists have had difficulty reformulating petroleum-based plastics so that they can degrade, a number of bio-based, degradeable alternatives are emerging. Despite these and other recent successes, bioplastics remain a tiny fraction of the industry as a whole. Natureworks, a company based in Minnetonka, Minnesota, is one of the world’s leading manufactures of bioplastics. The company makes polylactic acid, or PLA, a biodegradable plastic it sources from cornstarch and makes into a wide range of consumer products — including single-use flatware, cups and packaging — that decompose at the end of their useful life. The company’s initial production facility in Blair, Nebraska, came online in 2002 and can produce 140,000 metric tons (150,000 tons) of PLA per year. The company recently announced plans to open a second plant in Southeast Asia that would use sugarcane as its feedstock. Another leading manufacturer of bioplastic is the Coca-Cola Company, which in 2009 launched PlantBottle, a drink bottle made from polyethylene terephthalate —PET — that contains up to 30 percent biobased material. The bottles are not degradable but, unlike most biobased plastics, can be recycled along with conventional PET, a commonly recycled plastic. Since 2009 the company has produced 35 billion of its original PlantBottles. In June 2015 the company unveiled a new version that is 100 percent biobased. Despite these and other recent successes, bioplastics remain a tiny fraction of the industry as a whole. The materials are well suited for single use products such as spoons and bottles where consumers are willing to pay a premium for more sustainable products. High durability, less-visible applications — for example, water pipes made of PVC that are commonly used in residential and commercial plumbing — are still made entirely of conventional plastic. In total, less than 0.5 percent of all plastic comes from non-petroleum sources, according to the Society of the Plastics Industry, an industry trade group based in Washington, D.C.
Government regulation, however, is leading to the increased use of bioplastics. In 2014 Illinois banned microbeads, tiny plastic abrasives commonly used in facial scrubs, shampoo and toothpaste, due to concerns about environmental degradation in the Great Lakes. At less than one millimeter in diameter, microbeads are too small to be filtered by sewage treatment systems and have been found in both freshwater and marine environments. With a federal ban on microbeads expected, Metabolix partnered with Honeywell in March to produce a biodegradable alternative to microbeads The microbeads the two companies are developing are made from Polyhydroxyalkanoates, or PHA, a bio-based plastic that is more expensive but also more versatile than PLA. The microbeads the two companies are developing are made by fermenting cornstarch, though they could also be made from non-food crops such as switchgrass. PHA microbeads will degrade into carbon dioxide and water in a matter of months at the same rate as cellulose or paper, Peoples says. As we increase our reliance on plastics sourced from crops such as corn or sugarcane, we could inadvertently introduce new environmental concerns. A recent study in the journal Cleaner Production noted bioplastics grown from agricultural feedstocks use significant amounts of water, pesticides and fertilizers that can cause air and water pollution and compete for land with crops grown for food. One possible way to get around the down sides of plant-based plastics while still reducing dependence on petroleum is to use CO2 as a feedstock instead. Novomer, a company spun out from research at Cornell University in Ithaca, New York, is turning waste CO2 from ethanol production plants into plastic. The company makes polyols — polymers used to make flexible foam found in mattresses, seat cushions and insulation, as well as a range of specialty coatings and sealants. Typically CO2 is too inert to react with other compounds, making its use in plastics or other applications difficult. Geoffrey Coates, a chemistry professor at Cornell University in Ithaca and a co-founder of Novomer, developed a catalyst that increased the reactivity of CO2 while simultaneously slowing down the reactivity of another key polyol ingredient — making it easier to incorporate CO2 into the resulting polymer. “It’s like if you have kids and you give them pizza and broccoli and you tell them every time you take a bite of pizza you have to take a bite of broccoli,” says Coates, who is also a member of the Center of Sustainable Polymers. The biggest challenge for bioplastics is that they are competing against conventional plastics, incredibly inexpensive materials that have been honed for the past 60 years, Scheer says.The polyols made by Novomer are degradable but lose their degradability when combined with petroleum-based chemicals to make foam. Though the company is currently focused on making foams and sealants, Shepard says Novomer’s CO2-based polymers could be used to make degradable plastics with a CO2 content as high as 50 percent. Despite strong growth in recent years, some say bioplastics haven’t lived up to their potential. “The bioplastics industry has not been able to create polymers that are attractive enough in terms of pricing and in terms of properties that will make the world willing to change,” says Frederick Scheer, the former CEO of Cereplast, a once-leading bioplastics company that declared bankruptcy in 2014. The biggest challenge for bioplastics is that they are competing against conventional plastics, incredibly inexpensive materials that have been honed for the past 60 years, Scheer says. “People are somewhat conscious of the environmental impact of oil-based materials that will not biodegrade, but they are not willing to spend the extra dollars to push [new] types of materials,” he says. Scheer says the capacity to make all of the world’s plastic from non-petroleum sources exists, but to do so would require significant government support. “It will have to be driven by regulation that will force the cost of plastic and cost of oil to be substantially higher than it is right now,” he says. If sustainable plastics that reduce our dependence on fossil fuels and degrade at the end of their useful life are going to go mainstream, they will have to be able to sub in not only for microbeads, foam and other specialty applications but also for thermoplastics — low-cost, shapeable polymers that comprise more than 80 percent of the hundreds of millions of tons of plastic produced each year. Coates is now working on a new biopolymer with properties comparable to or perhaps better than polyethylene, the most widely produced thermoplastic used to make everything from trash bags to water bottles to plastic toys. In a 2014 study published in the Journal of the American Chemical Society, Coates and colleagues at Cornell described a new material with a semicrystalline structure that is made from a sugar feedstock and has properties similar to polyethylene, yet is better able to decompose at the end of its useful life. “It doesn’t happen overnight, but I think there are certain positive [indications that it] could be a real competitor for a plastic like polyethylene,” Hillmyer says. The new material, known as poly(polypropylene succinate), hasn’t been tested to see how quickly it would decompose in a landfill or marine environment. But based on its composition, Coates says, it should begin to degrade in water after several months, a time period that would exceed the useful life of most single use products. Poly(polypropylene succinate) breaks down into propylene glycol and succinic acid, nontoxic materials that are further reduced to CO2 and water when ingested by microbes. “If you had to eat polymer degradation products, these would be the ones you want,” Coates says. It’s unlikely that poly(polypropylene succinate) will ever cost less on a pound-for-pound basis than conventional polyethylene, but its unique crystalline structure suggests it could perform better than its petroleum counterpart. If so, bioplastics manufacturers may someday be able to compete with today’s plastics industry by making things like milk jugs with significantly less material than petroleum-based plastics. Short of sweeping government regulations that place a price on carbon or require all plastics to biodegrade, bioplastics will have to find ways to outcompete conventional plastics if they are ever going to fill more than niche applications. It’s an uphill battle — but one that another once-niche product, the solar panel, is increasingly winning. In 2007 solar power made up less than 0.1 percent of U.S. electricity generation. Thanks to ingenuity and innovation, the price of photovoltaic modules has dropped from US$4 per watt to US$0.50 per watt, making solar the fastest growing source of electricity in the country. Might those working on bioplastics see a similar sea change? Ultimately, a lot will likely ride not only on how well their products break down, but on how much they can break down conventional plastic’s competitive edge. This piece was originally published on Ensia, a magazine showcasing environmental solutions in action, under the Institute on the Environment at the University of Minnesota with support from major foundations and private individuals. 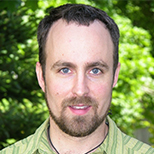 Editor’s note: Marc Hillmyer is a resident fellow of the University of Minnesota Institute on the Environment, which publishes Ensia.